Master fabricators in the marine tooling field for over 20 years. Our family-owned and operated business takes pride in its craftsmanship and reliability. Specializing in steel mold frame fabrication. 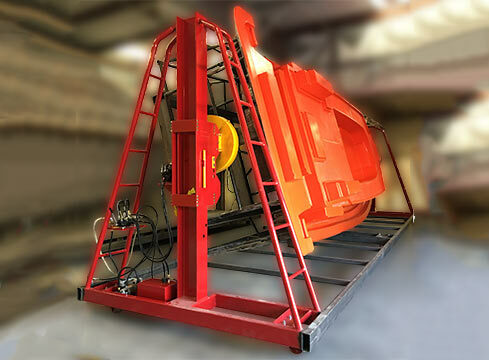 The steel frame holds boat molds rigid, ensuring a more accurate and consistent result. Contact Hudson’s Welding to start saving time and money now! The Hudson Eagle is an integrated air-over-hydraulic system that provides a safe, fast, and efficient method of precise mold positioning. Strength and simplicity were paramount in the design process.